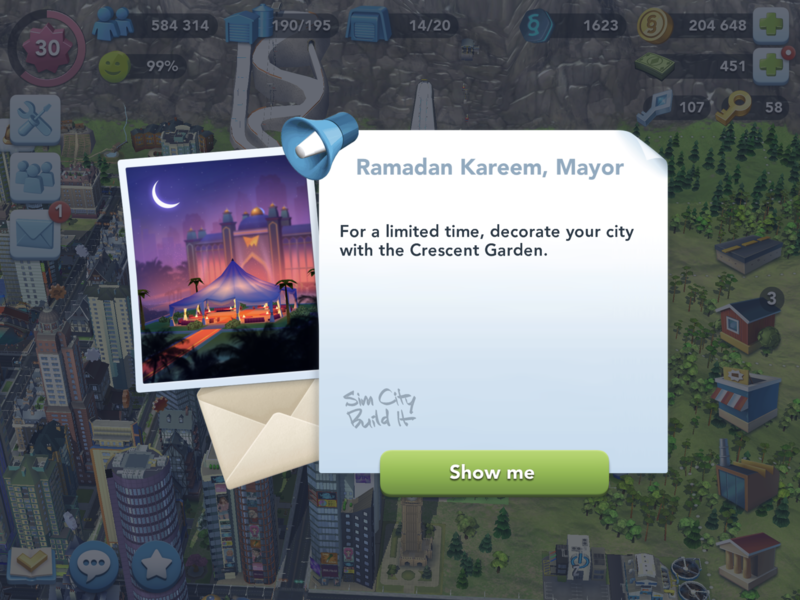 Chances are that when you open up a game on your smartphone (iPhone or Android-powered equivalent) recently and you’re living in the Middle East, you’ve probably seen something related to Ramadan starting off with a well-wishing pop-up along with messages on special in-game deals. I was given a nice pop-up when I opened up SimCity: BuildIt on my iPad. Asphalt 8 does give you Ramadan Cup as one of the many limited-time Events. They did the same last year, and you can guess which race track they use. It begs the bigger point for digital activity during Ramadan – it’s a gold mine and ripe opportunity for digital marketing for many businesses looking to make a big splash in the MENA region. With people having 2 mobile devices in their pocket and video consumption at a peak, mobile gaming is not far behind on this trend. From the past years, I’ve seen Gameloft’s Asphalt 8 doing an annual special event during Ramadan. Luckily, they can theme it to the Dubai race track rather than using another city track which would not have the same vibe (Plus, Dubai is a synonymous name as well across the MENA region). Google has always taken the lead of charting leadership on digital marketing during the Holy Month of Ramadan. It’s not just with their ThinkWithGoogle insight publications, but also their Google Play ecosystem as well where they easily highlight Ramadan specials. Though mobile game developers are slowly starting to embrace this annual period, we may see a bigger number of mobile games adding special touches for next year. Meanwhile, enjoy Ramadan in 2018 on your mobile devices. If you’re looking for some quick marketing during Ramadan, I’ve pinned a succinct infographic.